A heavy-bottomed Dutch oven is one of the most versatile pots in your kitchen, capable of acting as a soup pot, a roaster or even a deep skillet. One of its best applications is for preparing pot roasts and other tough cuts of meat. The best pot roasts are typically cut from the chuck and liberally furnished with tough muscles and chewy, gristly connective tissues. Slow-cooking them in your Dutch oven -- a simple task, even for beginners -- turns them into the lush, familiar comfort-food classic. 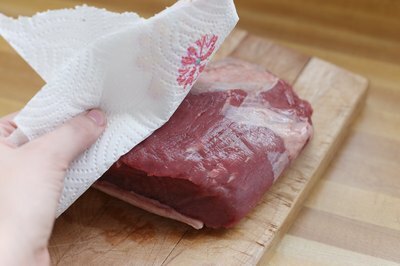 Unwrap the pot roast and pat it dry on all sides with paper towels, taking care to wipe away any bone fragments left by the butcher's saw. Heat your Dutch oven on the stovetop, then pour in a tablespoon or two of oil. Sear your roast on all sides until it's well-browned, creating savory flavors you wouldn't otherwise achieve with slow, patient cooking. Remove the roast to a clean plate, and add your aromatic vegetables to the Dutch oven. Vary the vegetables at your whim, although onions, garlic, celery and carrots are common choices. Turn down the heat and stir the vegetables until they're soft and aromatic. Pour a splash of broth, wine or other liquid into the Dutch oven, and stir to loosen and dissolve the flavorful browned-on bits. Return your roast to the pot, nestling it on top of the vegetables. Season it to your taste with salt, pepper and herbs or spices, then pour in enough additional liquid to immerse the meat to 1/3 or 1/2 of its depth. 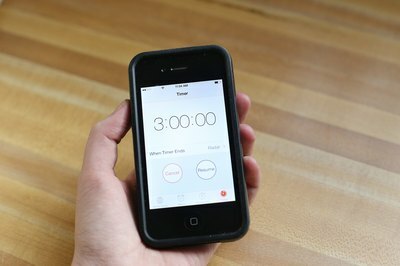 Place the lid on your Dutch oven, and either simmer it on the stovetop or preheat your oven to 300 degrees Fahrenheit and transfer your Dutch oven to the middle rack. The key is to keep the cooking liquid at a low simmer, roughly 170 to 190 F, as the meat cooks. This gently softens the tough muscle fibers and melts the fat and connective tissues, giving the finished roast its distinctively moist and tender texture. Cook the beef for 2 to 4 hours, depending on the size and shape of the roast, until it's tender enough that you can easily remove a morsel by twisting it off with a fork. 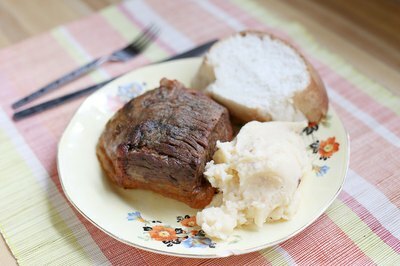 Remove the roast and set it aside on a warmed plate or serving platter, under a loose covering of aluminum foil. Strain the aromatics from your cooking liquid, and skim off the fat that rises to the top. Make a sauce by thickening the juices with flour or cornstarch, or by simply simmering them until they become thick enough -- through their own natural gelatin -- to coat the back of a spoon. Slice or shred the beef, and serve it with the sauce and your choice of side dishes. 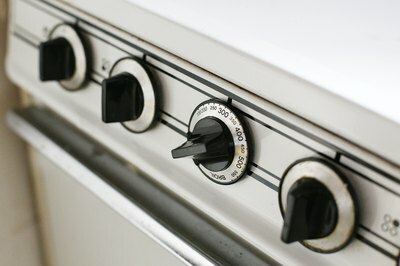 Depending on your range, you might need to place a wire heat diffuser under your Dutch oven so as to maintain a suitably low simmer. The oven's heat is gentler and indirect, so that's usually the easier option. Your choice of cooking liquids is wide open, depending on the end result you're looking for. Plain water is always an acceptable choice, though you'll likely want to use more aromatic vegetables to provide flavor to the beef. 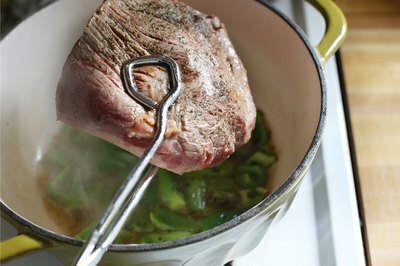 Beef or vegetable broth is a better choice, with or without a healthy splash of wine or beer to add flavor. You might also opt for tomato sauce, barbecue sauce or beef gravy, thinned slightly with water or broth, so it doesn't stick to the pan and scorch. 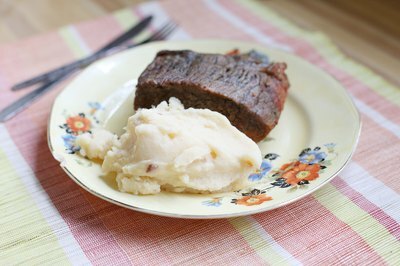 You can take basic pot roast in a number of different directions through your choice of flavorings. For example, adding ginger, lemongrass and soy to the mixture makes it generically Asian, or leave out the soy and use coconut milk and curry paste to give the beef a Thai flavor. If you slow-cook the pot roast with bell peppers, onions, garlic and cumin, you can shred it for the kind of home-style taco meat that's seldom seen in restaurants.